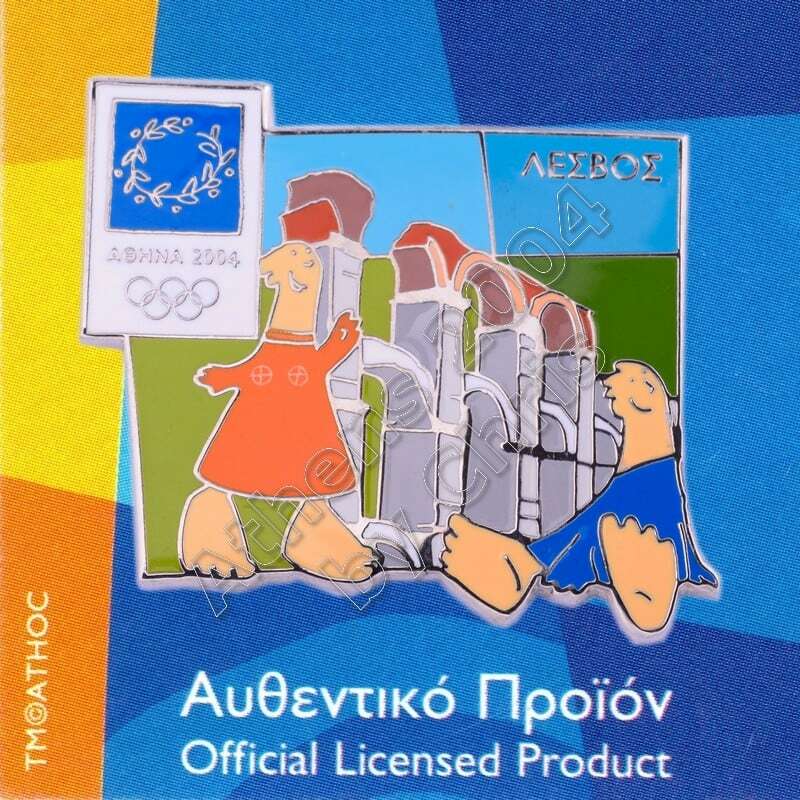 Lesvos, sometimes referred to as Mytilini after its capital, is a Greek island located in the northeastern Aegean Sea. 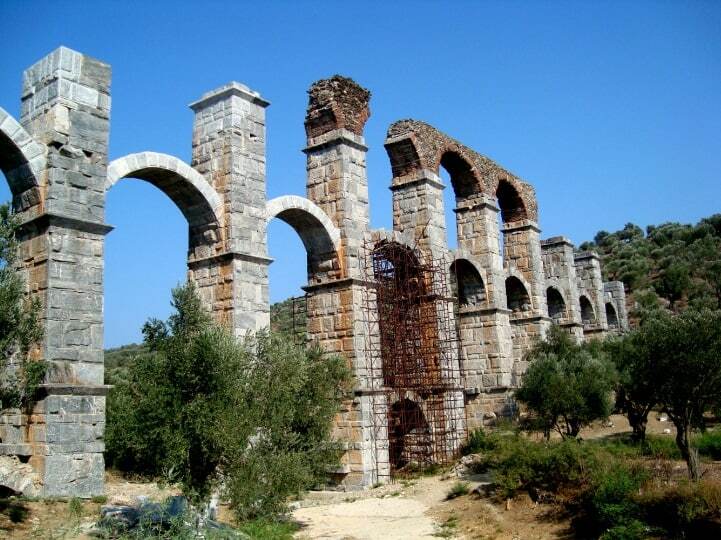 The Roman Aqueduct is one of the most impressive monuments in Lesvos. The best preserved section is 170 m. long and includes seventeen arches. 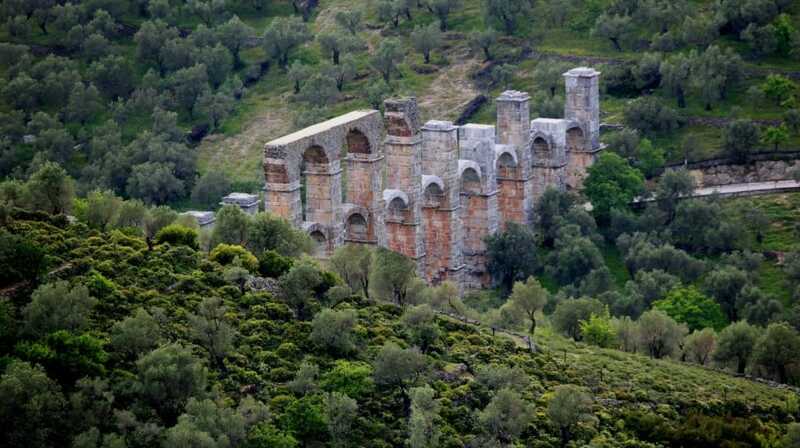 It is located in the area of Moria, about 6 km north of the city of Mytilini and it’s called “Kamares”. 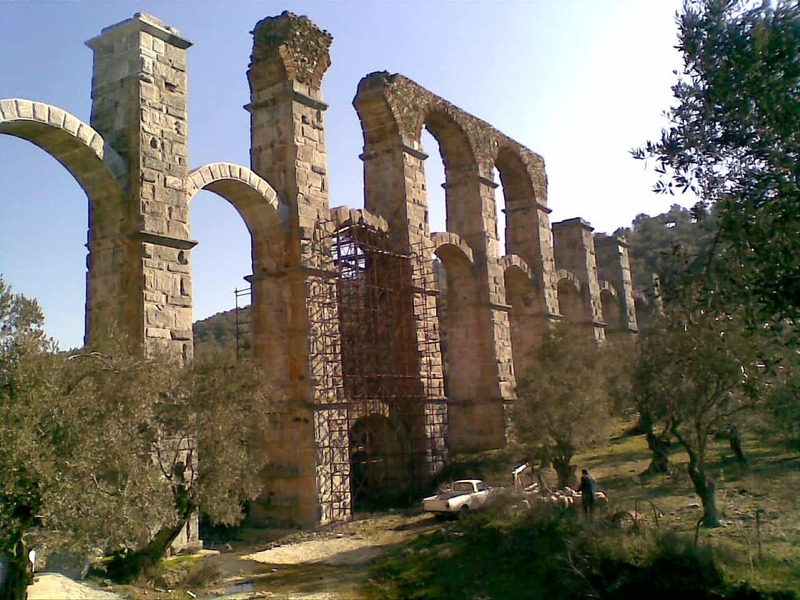 Every opening is subdivided into three successive arches supported by a column and the imposts of each column are decorated with moulding and abacus. The columns and the vault arches were constructed with local gray marble. 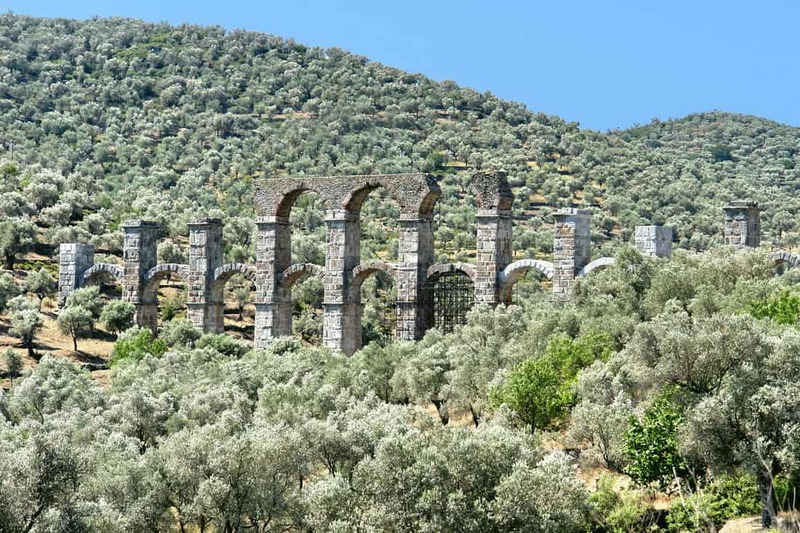 The Roman Aqueduct dates back to the Roman period (2nd century – 3rdcentury AD) and it was used for the water transportation from the springs of Olympos Mountain to the city of Mytilini, in a distance of about 26 km. 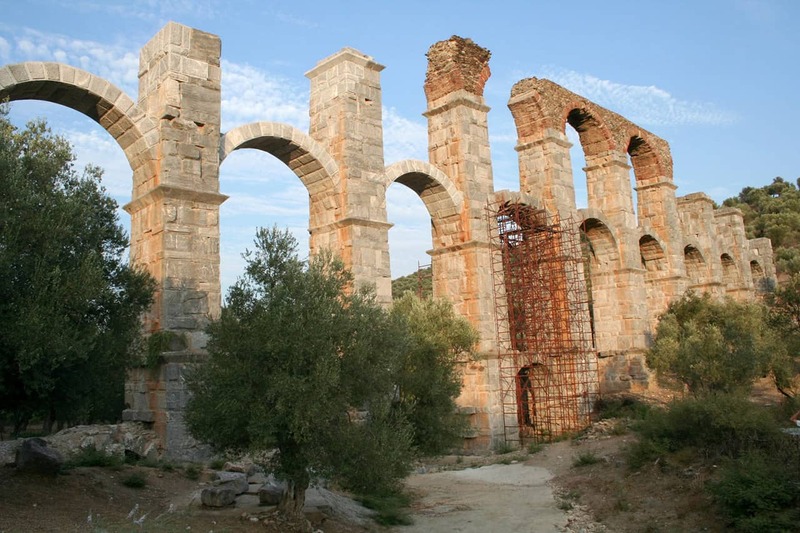 Because of its classical characteristics it was considered to have been built by Hadrian. 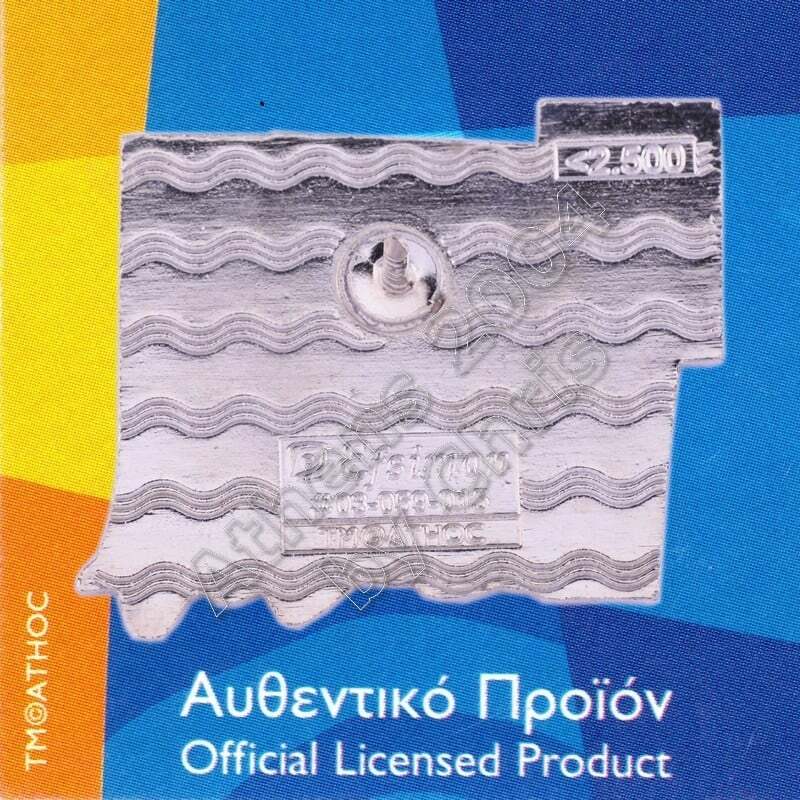 It is said that it was supplying the city with large quantities of water, about 127.000 m³ per day.